Do you prefer neutral colours? 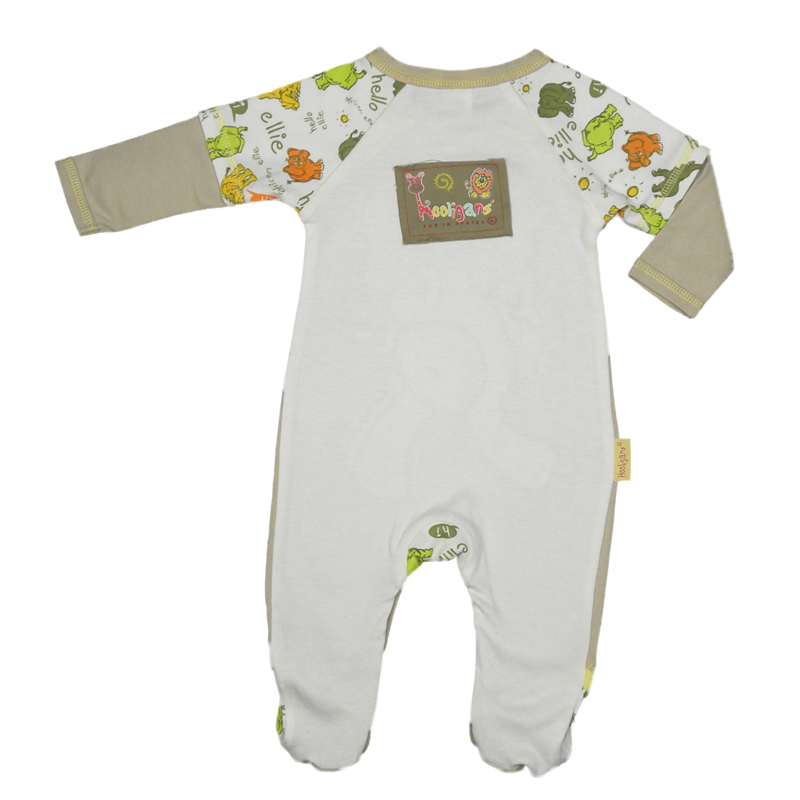 This stone beige baby grow with plain white back has contrasting printed elephant fabric to the shoulders, the gusset and the feet. A soft yellow is the feature colour of this outfit found on the shoulders, the feet & of course the delightful, happy ellie spewing love hearts appliquéd and embroidered to the front panel. Poppers to the neck & inner thighs assist Mum.